Scotland’s maritime story is significant to the development of Empire and the placing of British manufactured goods in a category of their own, the envy of the world. Most of the important new enterprises were family concerns and frequently the story of brothers working together. DESCRIPTION: Britain was the cradle of modern shipbuilding, a natural progression of the Industrial Revolution. Exactly why Britain was the first nation to develop, by combination of coal, steam, water and steel, an industrial base is difficult to explain. Why some parts of Britain came to develop innovative industrial shipbuilding is perhaps easier to explain. 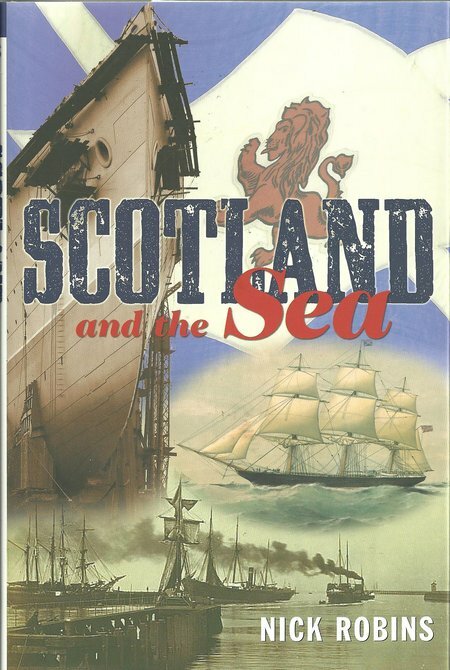 In this fascinating new book, the claim is made for Scotland and although Northern Ireland and the North of England can make some similar claims, Scotland can fairly lay claim to a significant part in the maritime industrial revolution. Previously, British shipbuilding had been concentrated from the Thames and along the Channel Coast where the many estuaries were particularly suited to wooden boat construction and maintenance. It was also the stretch of coastline that faced the traditional enemy, France, and accounted for the major British naval bases. After the Battle of Trafalgar, Britain was supreme as a naval nation. There was no credible competitor. Coal had been mined for many years before the start of the Industrial Revolution, but the start of the revolution was powered by water. The textile industry found the North of England a convenient location with many streams and rivers to power the new textile machines and also close to the ports that served the Empire. The Clyde also saw an expansion of ship owners. Where coal had been mined in relatively small quantities from mainly drift mines for fuel to heat buildings and to fuel steam pumps in Cornwall, deep mining of coal was needed to fuel the next stage of the Industrial Revolution and these new coalfields were located in the North of England and in Scotland. That made it convenient to develop the new coal and steel based industries in the North. The smelting of iron ore and the production of steel was not confined to the North of England and to Lowland Scotland, but the heavy concentrations were there. As the major iron and steel production was there, it naturally attracted all of the new enterprises that supplied and used the product of heavy engineering. As a very profitable new industry it paid premiums for labour and this labour was drawn from around the British Isles. There was also a rapidly developing trade with the colonies where steel and metal based product was shipped to the agricultural colonial states and the raw materials and crops were carried back to Britain and then exported to other countries. That encouraged a concentration of shipping companies close to the factories that produced the metal products. The author has told the story very well and included some very interesting images in support of the text. Sadly, the story is largely historic. Today, the once mighty shipbuilding industry has declined, the decline speeding with membership of the European Union which was keen to reduce shipbuilding capacity. There were also many other contributory factors, including poor labour relations and a failure to maintain the level of innovation. There remain many reminders of how important Scotland was in Britain’s maritime development, but few prospects for a major rebirth.